The B2B buying process is edging ever closer to the standard eCommerce approach, which means a targeted digital marketing strategy has never been more important. Making the purchasing process as frictionless as possible is paramount, and something our team at PushON achieve time and time again. When it comes to eCommerce, convenience is key. 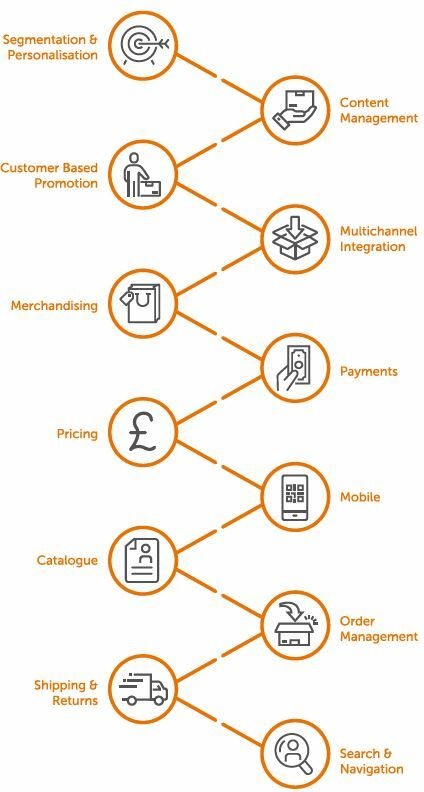 And whether that’s via re-ordering, product SKU’s, quotes or personalised pricing structures, the purchasing process must be as streamlined and user-friendly as possible. If the purchasing process on your B2B website isn’t tailored to the consumer, isn’t it time to ask why? Your competition will be well on their way to custom funnels and tailored purchasing strategies; let’s get your journey started too. B2B eCommerce is more than twice the size of B2C in the United States ($780 billion vs. $325 billion) *, with more and more companies taking the necessary next steps to embrace the expansion capabilities eCommerce presents. The market is huge and is still growing. There’s never been a better time to explore the possibilities a bespoke eCommerce strategy (and long-term journey) provides. When it comes to digital transformation and revenue growth, PushON can certainly help. The B2B process with our team is focused on improving cost-efficiencies, maximising conversation rates, and ultimately giving customers what they want when interacting with the online presence of your business. We also consult on strategies regarding business change, as a degree of change within the business is inevitable once a digital strategy is implemented (albeit for the good). There is never a better time than now to consider your options. Having an eCommerce solution which allows you to not only compete in the competitive global market, but to thrive, is essential as the marketplace continues to shift to towards tech-savvy consumers, no matter the industry. A quantifiable digital strategy also allows you to meticulously analyse the return on investment, which in turn can justify further funding as the eCommerce side of your business continues to grow. Delivering these cost savings through streamlining and business efficiency makes it easier for buy-in-with the company’s hierarchy too. So, a win-win scenario for both your customers and the business internally. This self-serve B2B buying behaviour is only going to increase over time. Are you ready? *Source: The Forrester Wave, 2017.